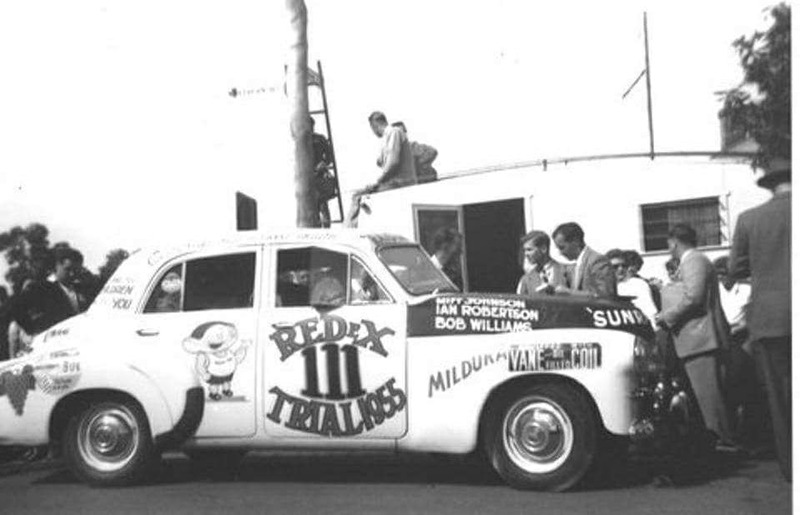 1953 - The Redex trial cars at Morphetville ready to head off to Melbourne. Photo: unknown. 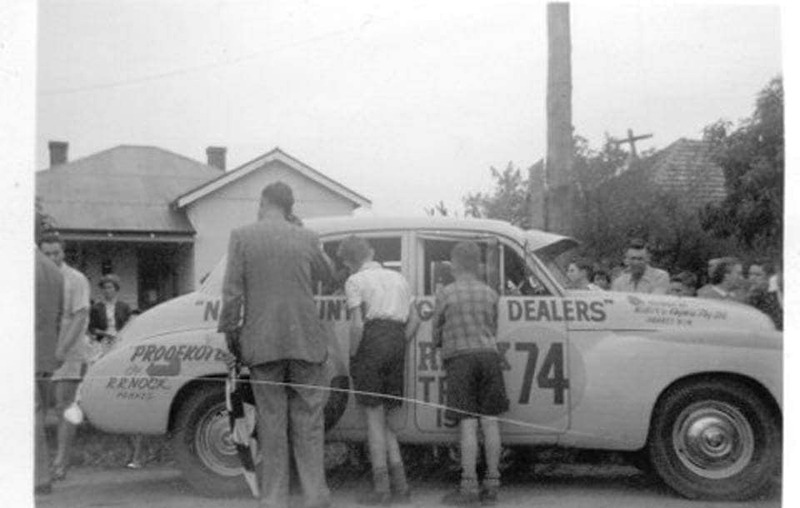 1953 - A team gathers outside there Holden Dealers shop prior to the 1953 Trial. Photo: unknown. 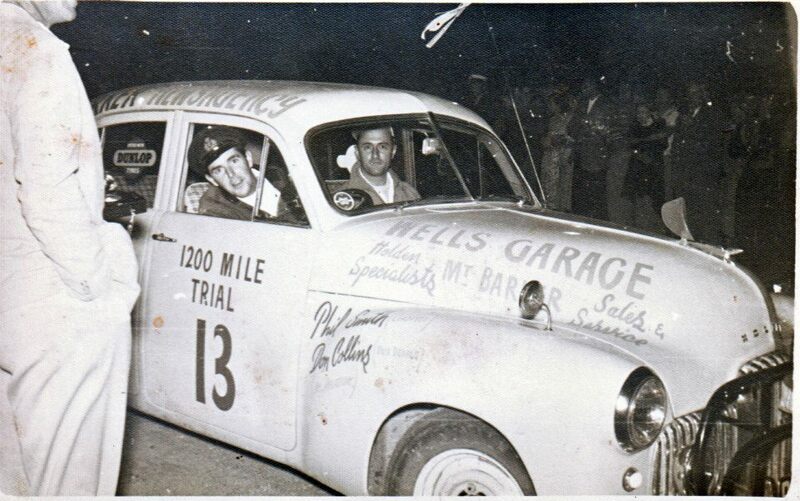 1953 - Frank Klienig entered the years event in a Morris Minor. Photo: unknown. 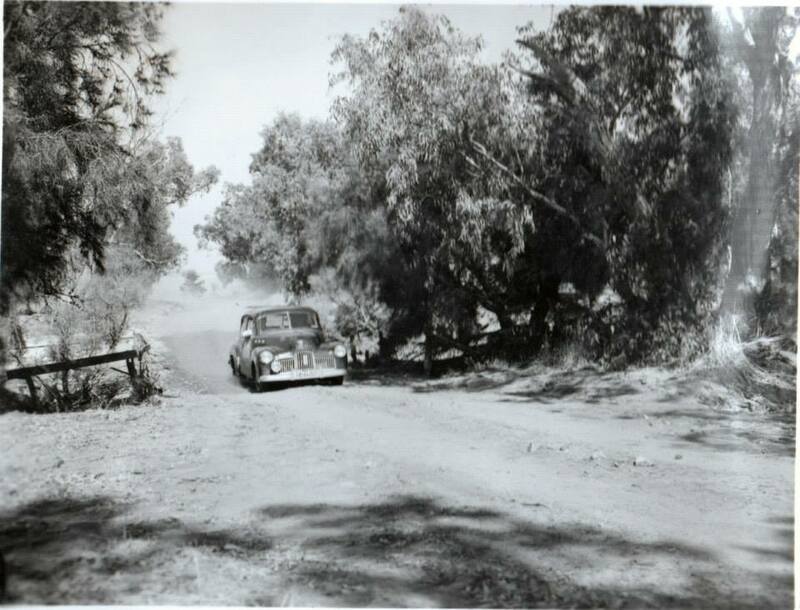 1953 Location Alice Springs. Photo: unknown. 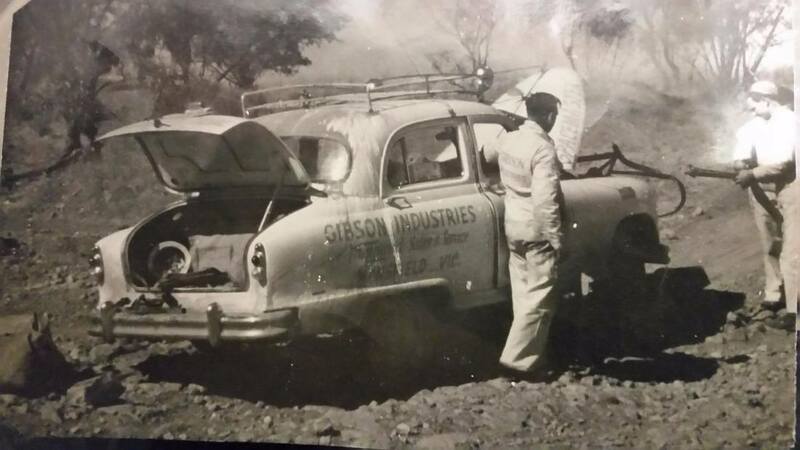 1953 - Owner and driver of the Vangaurd Spacemaster Hoot Gibson from Mansfield Victoria carrying out some repairs at Julia Creek with his brother and navigator Sid Gibson from Waikerie South Australia and co driver Les Ramsey also from Mansfield. Photo: Mark Gibson. 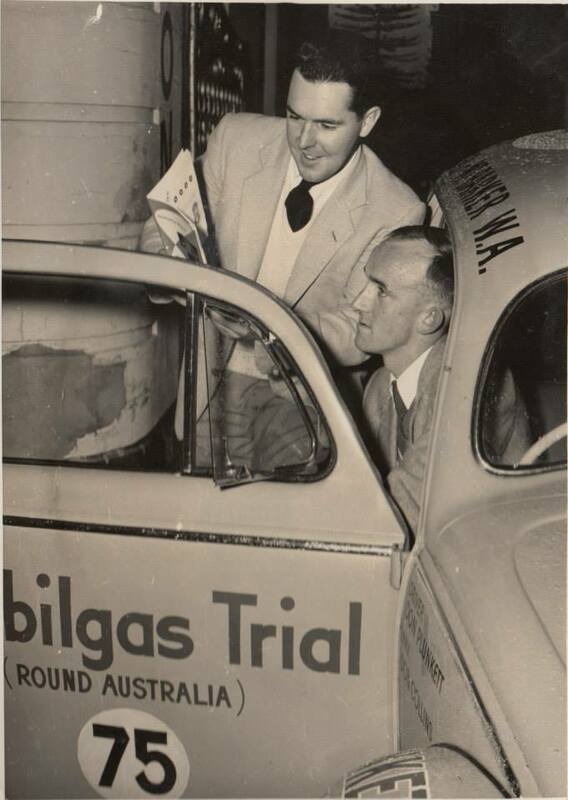 The signed photo was givern to Bill the Mule Frances by Jack Davey in Port Hedland in 1953 when he was competing in the Redex Trial in a Peugeot 402. 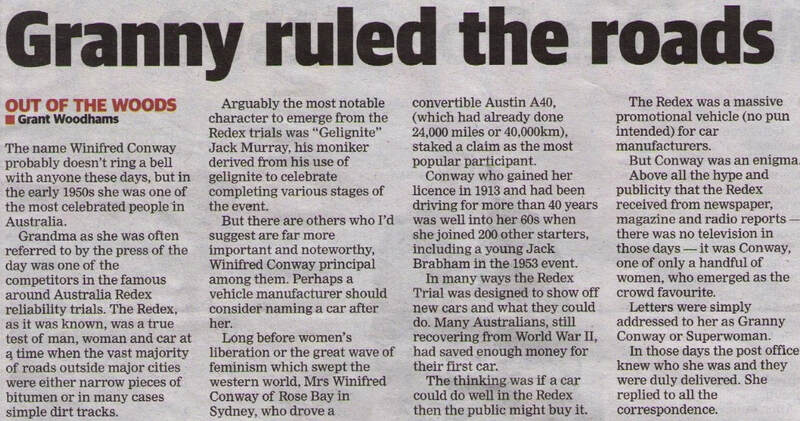 Jack was a compare of the radio show Pick a Box in the 1940's and 1950's, Bill cannot remember the number of Peugeot's he repaired but they all broke the chassis above the rear axel, Bill repaired them at the Hedland Transport workshop on the corner of Edger and Hunt Street, Bill was working for Ron Blowes at the time and driving a Leyland Beaver semi trailer. 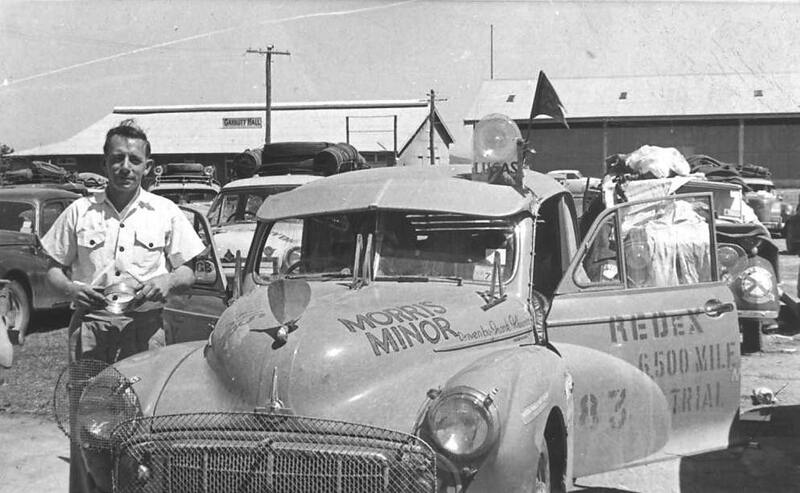 1953 - Ron Blowes Hedland Transport workshop and the Mules truck. 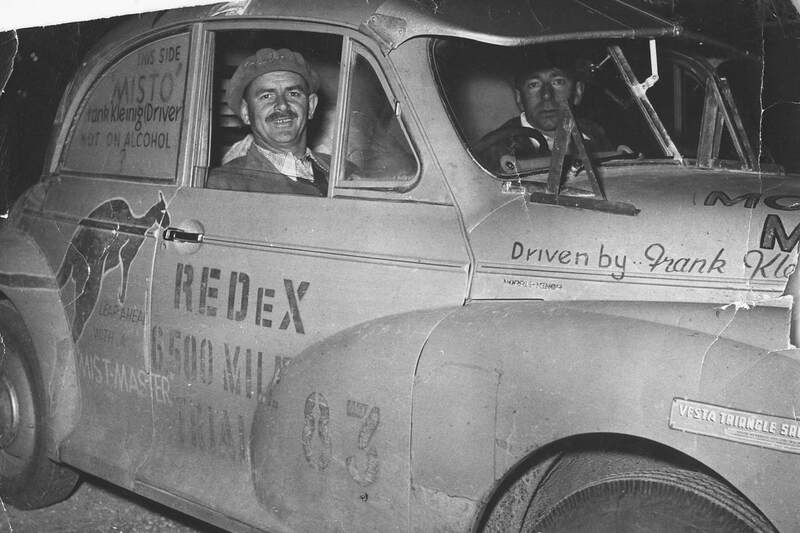 In 1953 Jack Murry competed in a 1948 Ford Mercury sedan, Jack became known as Gelignite Jack because when he was approaching a town he would lite up a short fuse on a half plug of gelignite and throw it out the window creating a bit of excitement. Bill made the comment to our man Tempo in an interview that if you did this today you would be locked up as a terrorist. 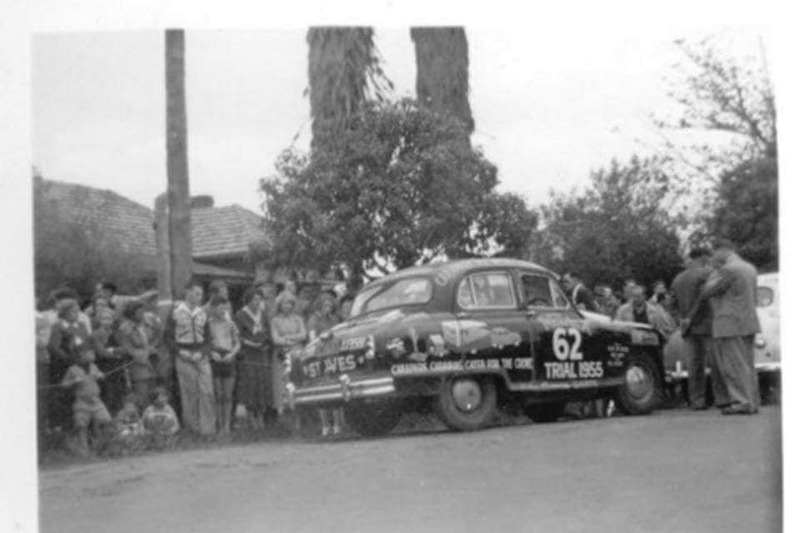 1953 - John Marshall and Ken Tubman take the win in there Peugeot 203. Photo: unknown. 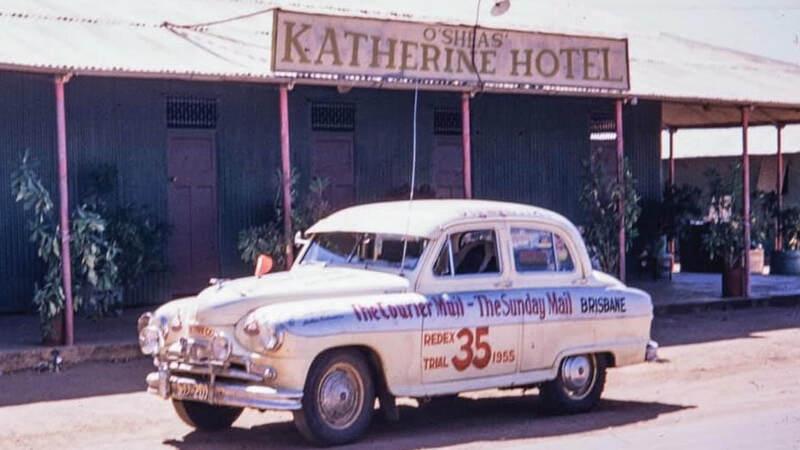 1955 - The number 35 Vangaurd sponsored by the Courier Mail Brisbane outside O'Shea's Katherine Hotel in the Northern Territory. 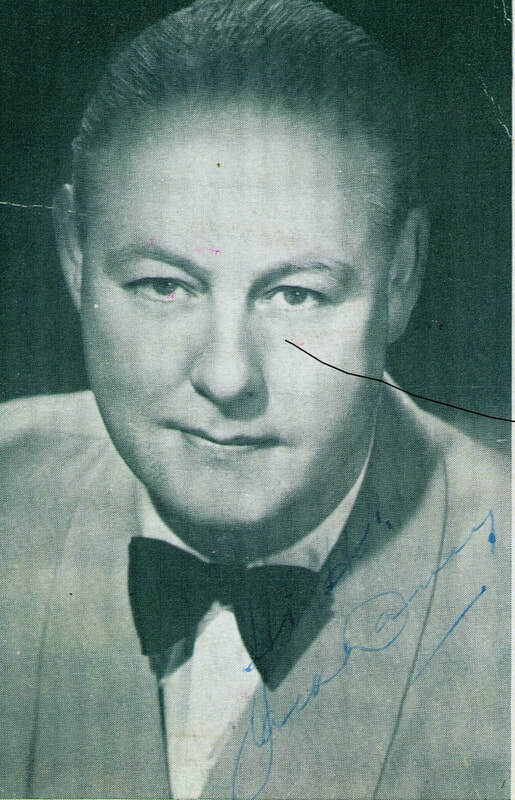 Photo: Lawley Brown collection. 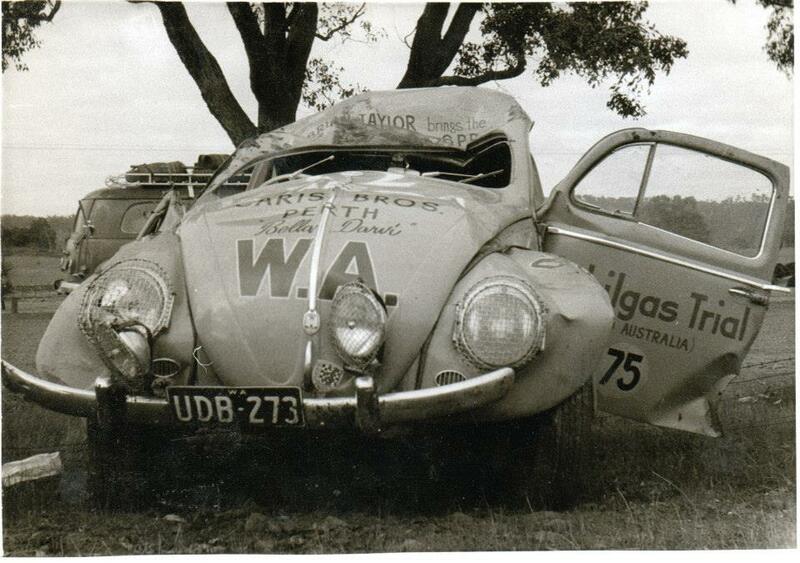 Old Motor Racing Photographs Australia facebook photo feature. 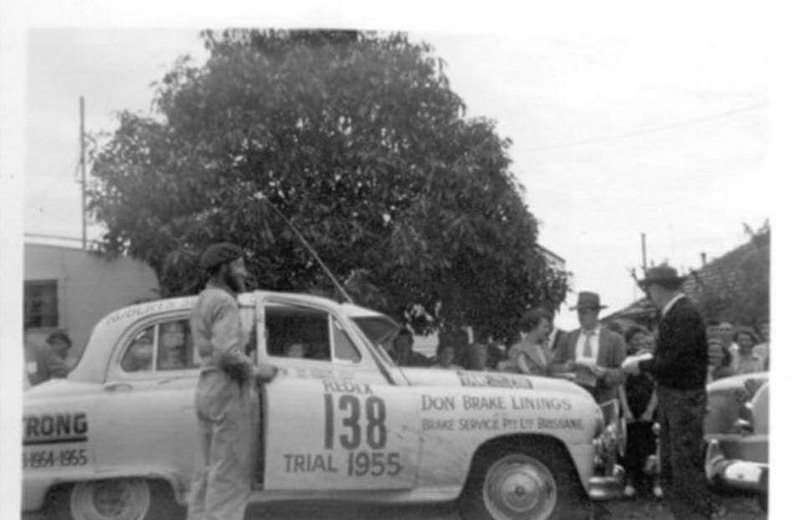 11th September 1955 Photo's: Outside the Goulburn Courthouse. 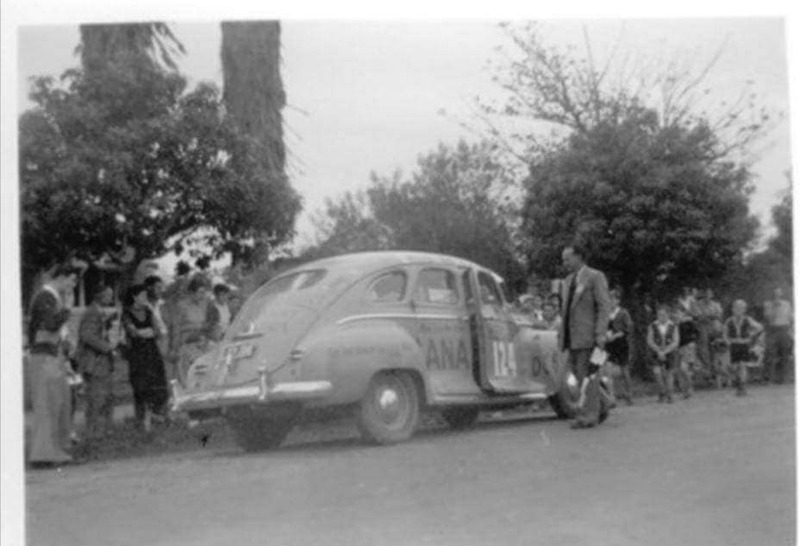 Photo's Glenn Anthony Paine. 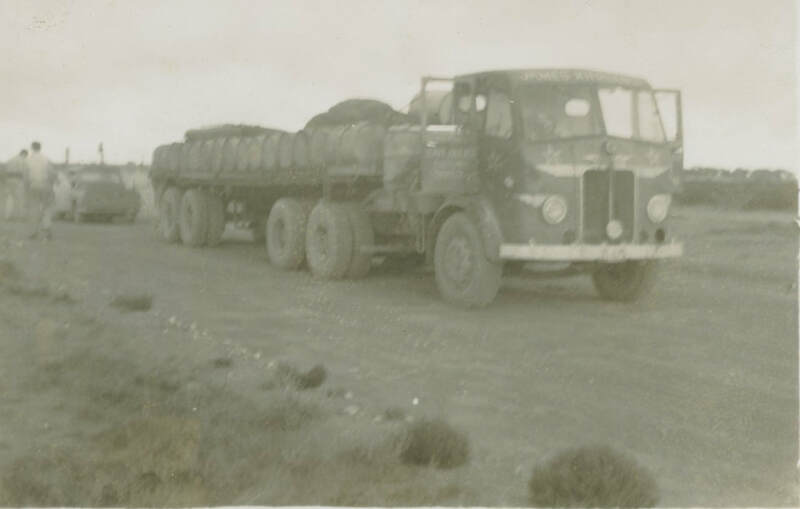 Bill Francis recalls: I was driving this 600 Leyland at the time doing a load from Perth to Port Augusta along with my co driver Vin Hoskins, When we came across a broken down 403 Peugeot trial car, The diff had failed so we hooked up the car behind the semi and towed it into Ceduna, and yes i did carry a camera in those days. 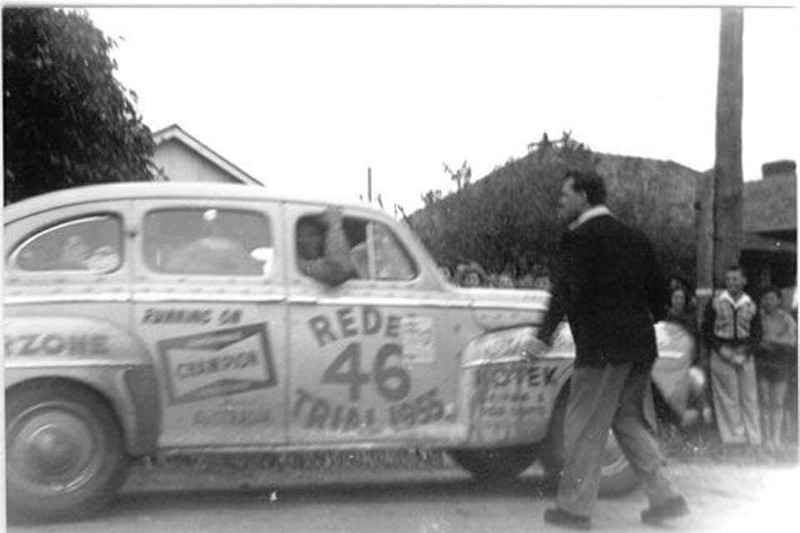 1955 - Photo's at Ceduna Oval. 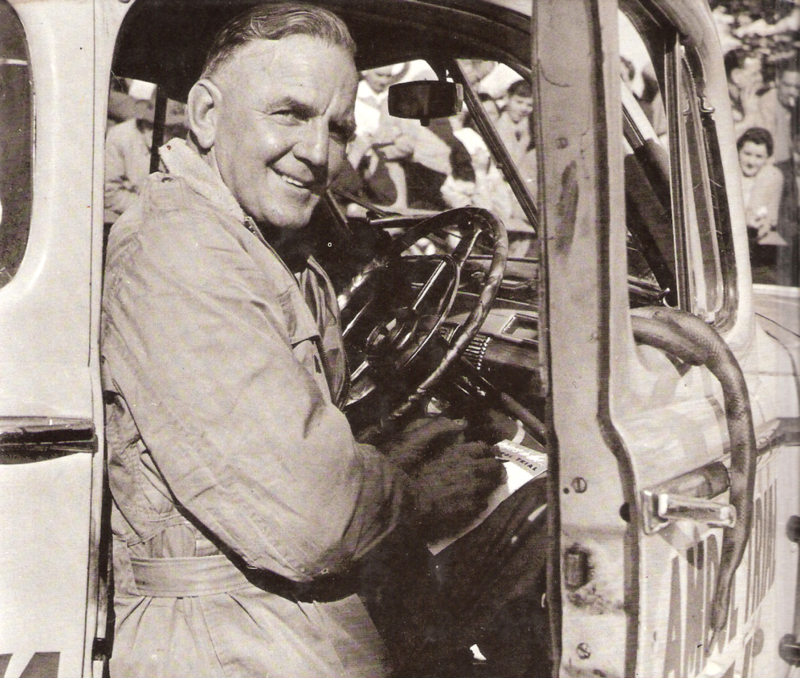 Photo's Fred Miller. 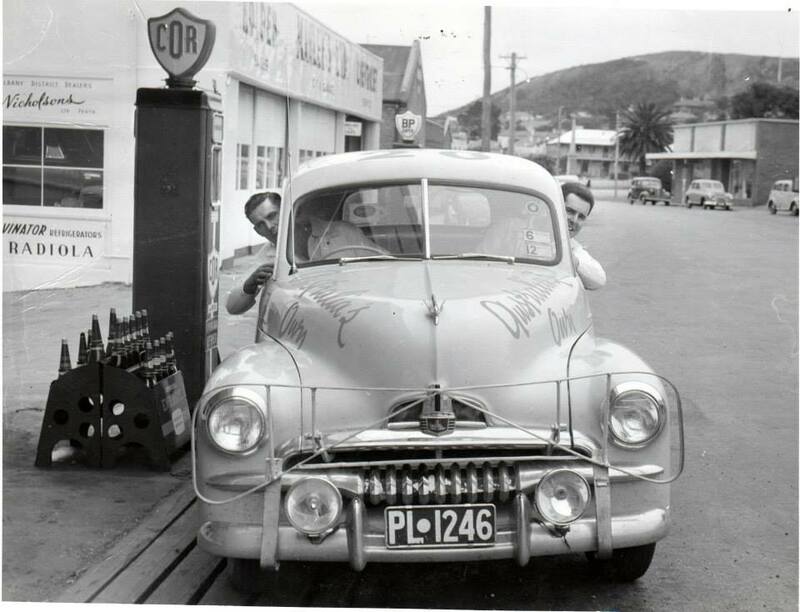 can you help with any information on the following images, such as year - subject - location - photographer or any stories attached to the photo: please contact me on 08 97 260000 cheers. 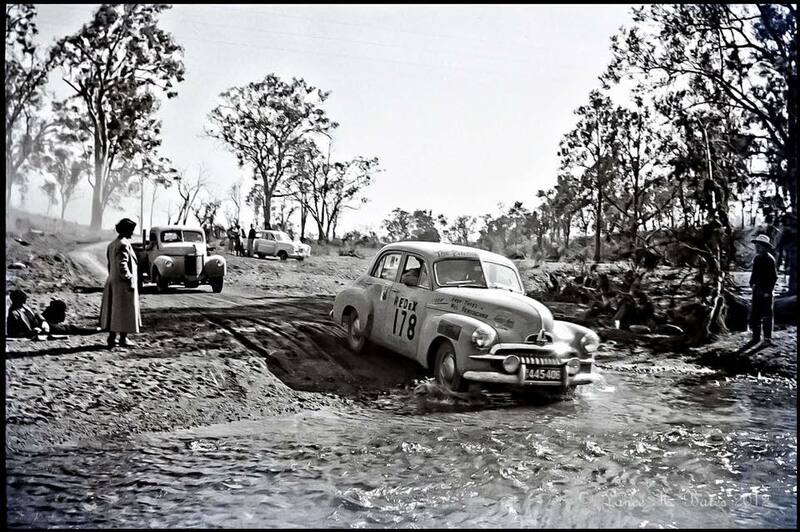 Phil Smith and Don Collins in their 48 series holden. 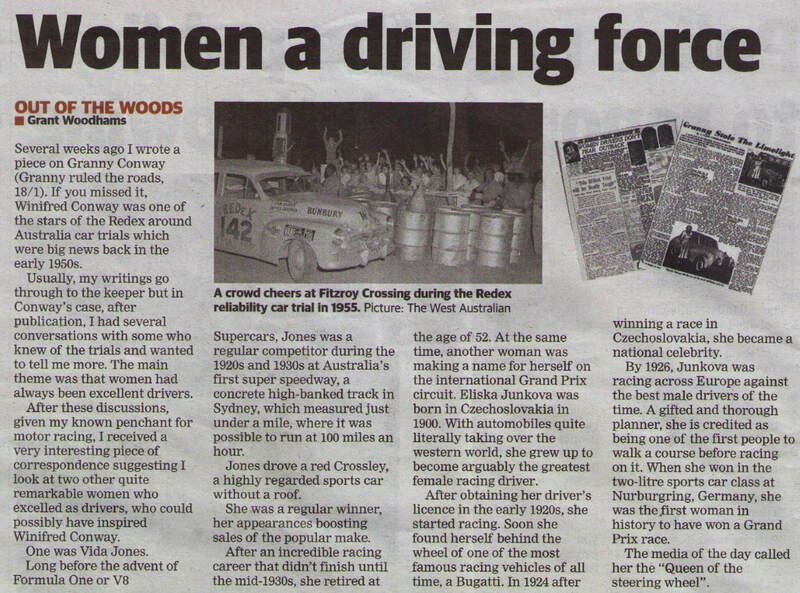 Photo: Jo Collins collection.